It was a sunny morning, and my colleagues and I just came from an exhausting 29-hour journey crossing seas from Manila to Madrid. Exhaustion was quickly forgotten though as we set foot in Spain. 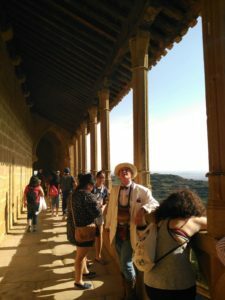 The beautiful morning sun, the amazing architecture and the warm friendly locals reenergized us and helped us get ready for our next task: navigating the city. We found ourselves lost as navigating through a foreign place was expectedly confusing. We only knew a bit of Español so there was a language barrier; it was hard to ask for directions. We eventually reached the bus where we would meet other participants of the summer school program. Once we entered the bus, we were greeted with firm handshakes, warm hellos, and smiles beaming at us from these warm strangers. I walked my way to the back of the bus, sat down on my seat -smiling- excited for what is to come. If this was any indication of the coming days; then I’m strapped in for an amazing journey. 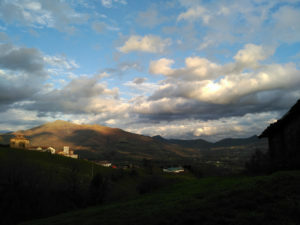 It was quite a long ride from Madrid to the valley but the scenic route made it all worthwhile. 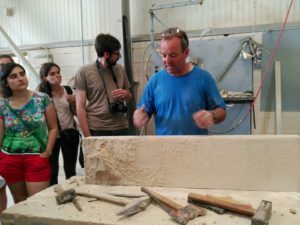 The first stop was a stone masonry lesson in the city of Olite. It was quite the experience. 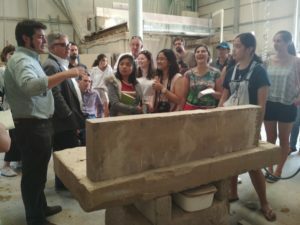 The group was briefly introduced to the work that was to be done during the duration of our stay, and a general description of stone masonry and its importance to architecture, especially to heritage conservation. Soon after, there were demonstrations of multiple techniques of stone cutting, whether it be the ancient way of hammering stone for the purpose of keeping its natural texture, or the use of diamond chain cutters for mechanical precision. 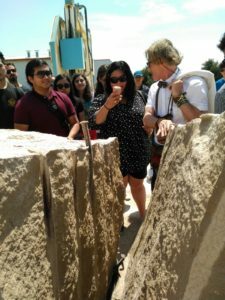 There were other demonstrations, including the use of a large circular saw for cutting stone, and multiple types of masonry tools and techniques including manual and automatic methods. All these activities took a toll on everyone as we arrived in the studio drained and hungry. Traditional food from valley was prepared on a long table inside the studio. Once we had our bellies filled, the energy in the room began to rise as we eased into conversation; usually with questions about our backgrounds, education, and culture. It was the first time the group gathered for a meal and the first time we all had a chance to sit down and actually talk to each other. It was a very diverse group of individuals from different countries. My colleagues and I came from the Philippines and it was our first time to be part of a group such as this. Delicious food really does wonders to people. The conversations went on until it was time to leave for another village. The group went to Ujue; a small town on top of a hill. 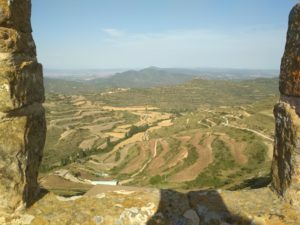 As soon as we got off bus, our surroundings greeted us with a spectacular view: rolling hills, multiple vineyards and farms, and of course, great vernacular architecture that leaves one feeling serene after taking it all in. We went on to visit a building that is both a church and a watch tower. It was an interesting structure. It was both Romanesque and Gothic in nature as seen through its details. 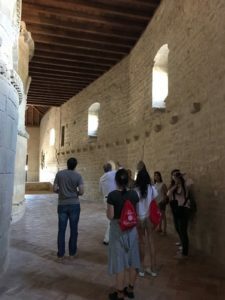 Romanesque characteristics can be seen through the structure’s openings while gothic features were evident in its architraves. It was time to depart for Amaiur, the town we would be staying for the next 13 days. Once we got there, it was noticeable that the group’s energy was quite low. Everyone was either tired or sleepy from our eventful first day. After settling down, we ate dinner, reviewed our day, then headed to bed. It was a great first day.